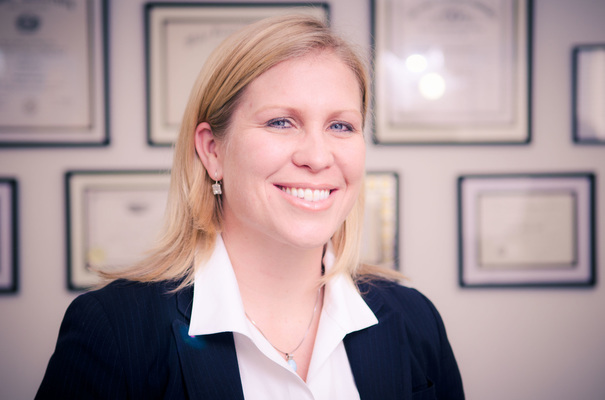 Since joining the firm in 2011, Meghann has expanded the firm’s criminal defense and civil litigation practice areas. She is active with the North Carolina Advocates for Justice ("NCAJ"), having served on NCAJ's Executive Committee, Board of Governors, Legal Affairs Committee, and in leadership with the Criminal Defense Section. In 2017 and 2018, she served as the Chair of NCAJ's Annual Convention, and she served as Editor of the April 2018 Trial Briefs Magazine. Locally, she leads the Buncombe County Criminal Defense Bar. Meghann was nominated by her colleagues as a “Young Gun” Legal Elite by Business North Carolina in 2013 for her work in criminal defense cases and, in 2018, received the Themis Award presented by the North Carolina Association of Women Attorneys. Meghann serves as lead counsel for the Campaign for Southern Equality, which advocates for equal rights for LGBT citizens across the South. She authored an amicus brief on behalf of the Campaign for Southern Equality in the U.S. Supreme Court in Obergefell v. Hodges and is a frequent presenter on constitutional law issues across the South. She also served as Editor-in-Chief of the April 2018 Trial Briefs magazine published by NCAJ. Meghann made Asheville home in 2004, after her professional soccer career brought her to North Carolina. She was born and raised in St. Louis, Missouri and attended Saint Louis University, where she earned athletic and academic scholarships. During her collegiate soccer career, she was named All-American, Conference USA Co-Player of the Decade, Conference USA Defensive Player of the Year twice, and Conference USA Freshman of the Year after shattering every school goalkeeping record her freshman year. Growing up, she was selected to the U-16 U.S. National Team, the Midwest Olympic Development Program Regional Team, and she played her formative years with 9-time Missouri State Cup Champion J.B. Marine Soccer Club. She moved to North Carolina as a result of being selected by the Carolina Courage as a Second Round Draft Pick (16th overall) in the 2003 WUSA Draft. Her soccer career took her across the country (Colorado, Memphis, North Carolina, St. Louis, Boston, Chicago, and New Jersey) and to England, but Asheville always called her home. Her experience as a professional athlete informs her approach to the practice of law. While in law school at Northeastern University School of Law, Meghann clerked with the Hon. Reginald C. Lindsay (U.S. District Court of Massachusetts), the Massachusetts Attorney General's Office, the Executive Office of Labor and Workforce Development, and Ferguson Stein Chambers & Sumter (Charlotte, NC). She wrote for the Northeastern Law Journal; provided research assistance to Professor Martha F. Davis in Learning to Work: A Functional Approach to Welfare and Higher Education, 58 Buff. L. Rev. 147 (2010); served as a Teaching Fellow; and worked with the Civil Rights and Restorative Justice Project in the case of Moore v. Franklin County, No. 3:09-cv-236 (S.D.Miss. 2010), the landmark case that recovered damages against local government for its complicity with the Ku Klux Klan in the 1950's and 1960's. Meghann played her last season of professional soccer in the midst of her third year of law school after coming back from spinal surgery, during which she organized the WPS Players Union. Prior to studying law, Meghann taught in schools, coached soccer, worked as a landscaper for an Asheville small business, and led the acquisition of the St. Louis Athletica and the campaign for a Major League Soccer franchise by a St. Louis-area investment group. Whether you are charged with a crime or seeking justice to right a wrong, Meghann believes every person deserves a fair trial and equal treatment under the law. She is committed to ensuring that clients receive due process and that they know they have an advocate willing to fight for them. Meghann is a lifelong fan of the St. Louis Cardinals and U.S. Women’s National Soccer Team. She spends her free time mountain biking, standup paddle boarding, and playing soccer. She is married to Rev. Jasmine Beach-Ferrara, a Commissioner representing District 1 on the Buncombe County Commission and Executive Director of the Campaign for Southern Equality. As a family, they enjoy impromptu dance parties with their son, going to Asheville City Soccer Club games, and finding adventures of all kinds in the mountains.